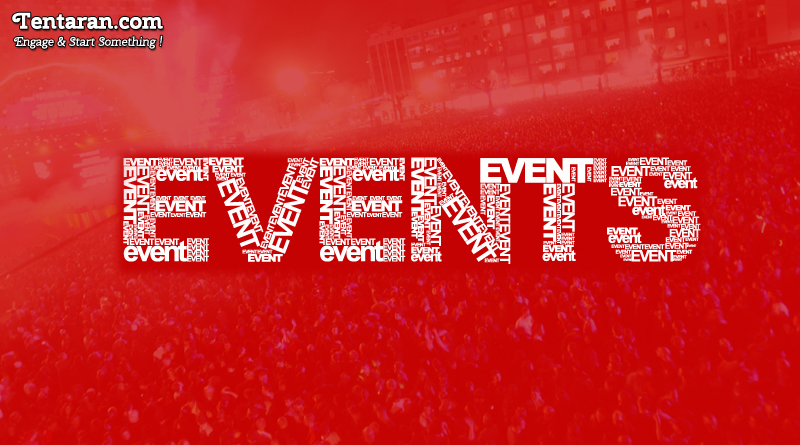 Events 2017 – Tentaran brings to you the list of upcoming events 2017 Cultural, sporting, Business, fashion events 2017 in which you may spot your favourite, stars or Billionaires across the globe. Standard Chartered Marathon 15th January Mumbai Sports A Marathon powered by Standard Chartered bank, where you may spot Billionaire and Indian Business Tycoon Mr Anil Ambani. Indian Art Fair 3rd-5th February Delhi Art Indian Art Fair is South Asia’s leading Modern and Contemporary Art Fair. Oscars( the academy awards) and the parties 26th February Hollywood Entertainment A Hollywood affair which everyone looks forward to. Look out for your favourites in the nomination. Art Basel 23-25th March Hong Kong Art An Annual event to discover new talent and explore Asian Art scene. Kochi Biennale 12th Dec 16- 29th March 17 Kochi, India Art A Place to capture some defining works by international and Indian artists. Indian Premiere League (IPL) April-May Various location, India Sports Annual Cricket league, a must visit for cricket lovers. Singapore Yacht Show 6th-9th April Sentosa Cove, Singapore Exhibition The Singapore Yacht Show is an opportunity to discover some of the world’s finest superyacht and international yacht brands in an elite and highly social setting, giving you a chance to enjoy luxury yachting at its finest. Venice Biennale 13th may-26th nov Venice Art World’s largest Biennial Art show. Cannes Film Festival 17th-28th May France Entertainment Glitz and Glamour from Across the world can be seen here. Cannes is the Film festival which previews new films of all genres, including documentaries, from all around the world. Monaco Grand Prix 25th-28th May Monaco Sports A place where racing fans, celebrities and socialites converge. UEFA Champions League Final 3rd June Cardiff Sports Curtains will be drawn on the 2016-17 season of UEFA with a grand finale. Royal Ascot 20th-24th June UK Sports and Culture A 5 days event made for socialising with long seen spectacles of fashion and style. An opportunity to mingle with British royalty. Event is interspersed with six top class horse races. Tomorrowland 21st-30th July Belgium Entertainment Tomorrowland is the world’s biggest Electronic dance music (EDM) event held in different countries. Sun Valley Conference Idaho Business An Investment Firm Allen and Co. hosts the world’s top business, technology and entertainment bosses at this annual event. Lakme Fashion Week Mumbai Fashion and entertainment Lakme Fashion Week is a bi-annual fashion event that takes place in Mumbai. Its Summer-Resort show takes place in April while the Winter-Festive show takes place in August. You may witness India’s leading beauties either in front row or on the ramp of the show. Burning Man 27thAug- 4th Sept USA Culture A cultural event, which started as an experiment, but went on as a global event. Once a year, tens of thousands of people gather in Nevada’s Black Rock Desert to create Black Rock City, a temporary metropolis dedicated to community, art, self-expression, and self-reliance. Monaco Yacht Show 27th-30th Sept Monaco Exhibition A place to Admire and Buy Superyacht. Oktoberfest 16th September Munich, Germany Entertainment and food Oktoberfest is one of the world’s largest folk fest that is 16 days long- held annually in Munich, Germany. It is also known as Volksfest which combines the Beer festival and travelling funfair. Jio MAMI Mumbai Film Festival 11TH -18th October Mumbai Entertainment Witness best of Indian and International Cinema here. Lisbon Web Summit 6th-9th November Lisbon, Portugal Technology Lisbon Web summit is also known as Davos for the geeks. A best place to meet exhibitors, investors and start up founders in technical field. Le Bal Des Debutantes 25th November Paris Fashion and Lifestyle le Bal des Débutantes in Paris, also known simply as le Bal, is a fashion event held annually in November that brings together 20-25 girls aged 16 to 22 from about a dozen countries. The young women don gowns from haute couture and couture designers, as well as foreign fashion houses. Times Lit Fest December Mumbai/Delhi Art and literature A festival that features, talks about books, politics, culture, economy, and a lot more.